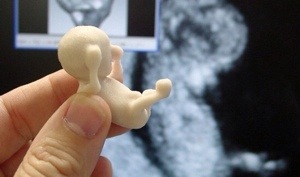 Using 3D printing technology, the Brazilian company Tecnologia Humana 3D constructs physical replicas of a growing embryo or baby based on sonogram data. The company’s “Feto 3D” project initiated by founder Jorge Roberto Lopes dos Santos was initially created for diagnostic purposes. dos Santos found it had other applications as well though, like helping blind patients feel the growing baby they could not see on a screen. Neva Fairchild with the American Foundation for the Blind told Tech Page One she saw a benefit to such an application of technology for those in the visually impaired community.